It sure was creepy. 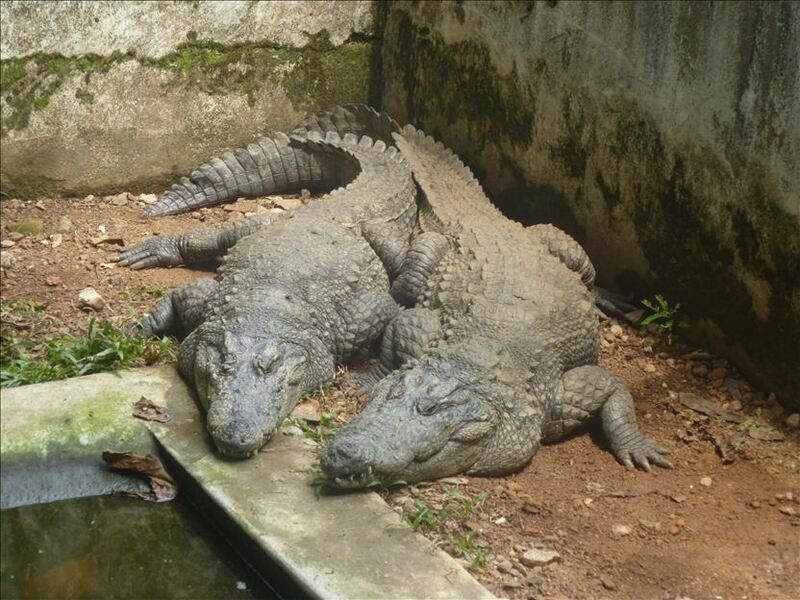 I saw over thirty muggers at the Neyyar Wildlife Park in Kerala, India during my recent vacation and to tell you the truth, they are real creepy crocodiles. Most were half asleep, but some were alert and ready to pounce on you (if they had a chance). They say local folks have died having been killed by the muggers that were released into the nearby lake. However, I think they have stopped that practice. For now, the muggers are in solitary confinement. For those interested in all things creepy, this is a great vacation spot!